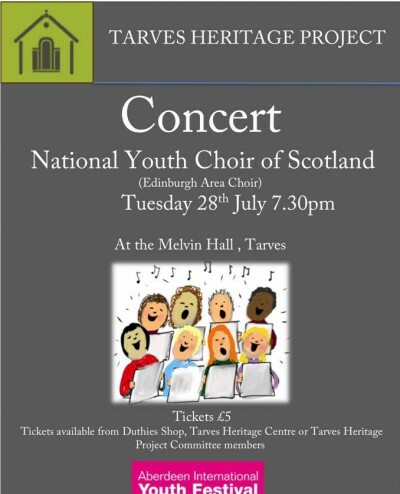 As part of the Aberdeen International youth festival, Tarves annually hosts a concert and this year the Heritage Society are hosting a visit from The National Youth Choir of Scotland. Tickets available from Duthies shop, Tarves heritage centre or project committee members. Previous Previous post: HANOVER – DINE FOR FIVER – SAT 1st AUGUST.